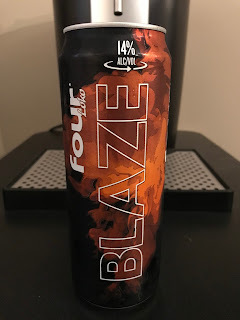 It's been over a year since our last Four Loko feature here at bumwinebob.com and for good reason. 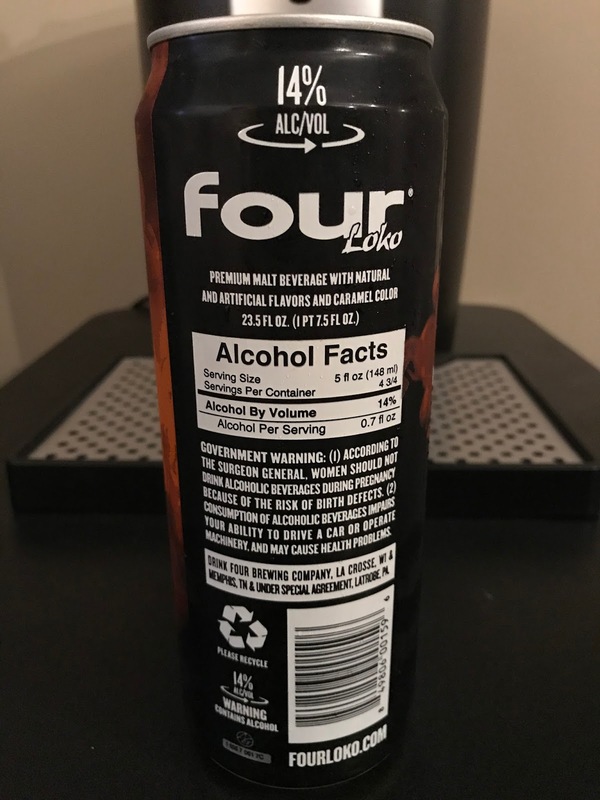 Nine times out of ten, nothing good comes out of drinking a single can of Four Loko, let alone two. But for the sake of all you readers I am taking the plunge once again with a Four Loko Double Feature as the BWB Malt Beverages Of The Week! 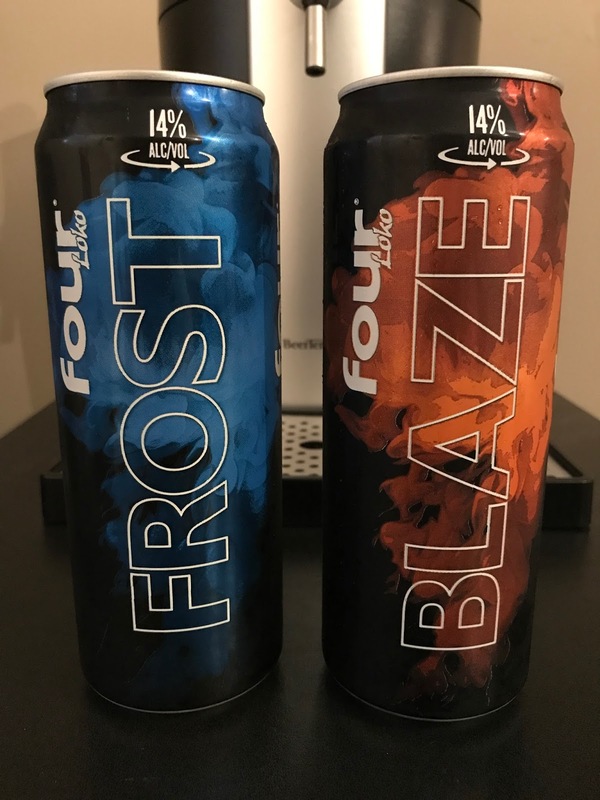 Earlier this year, the Drink Four Company decided they needed to take their game to the next level and released TWO flavors of Four Loko for their new "BOLD" series, FROST and BLAZE. 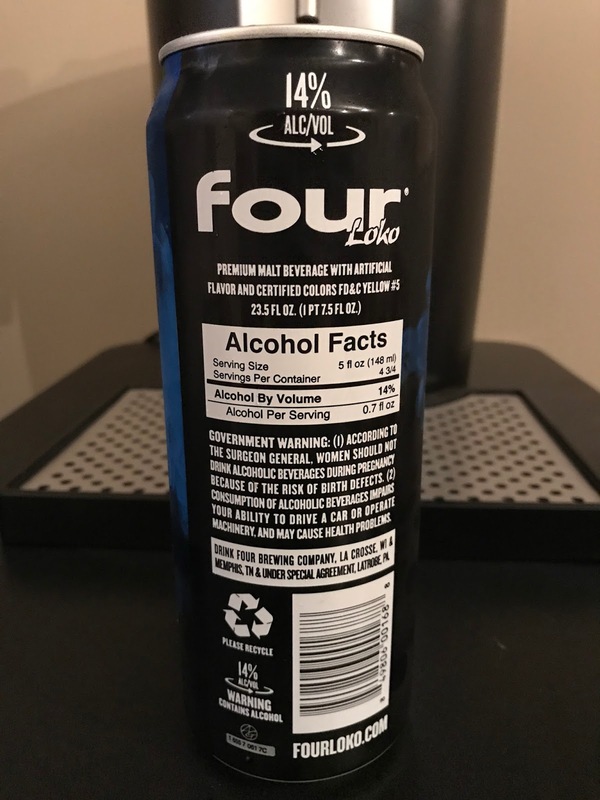 Similar to the classic Four Loko Gold, these are both coming in at 14% ABV and also do not classify themselves as a flavor by name. 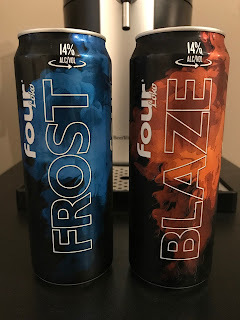 Do they taste like snow and fire respectively? Let's find out! 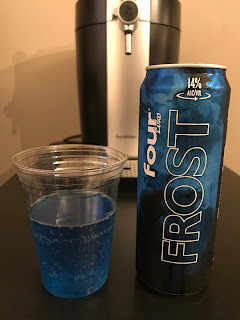 Continuing with our summer chill out theme, first on tap is Four Loko Frost. 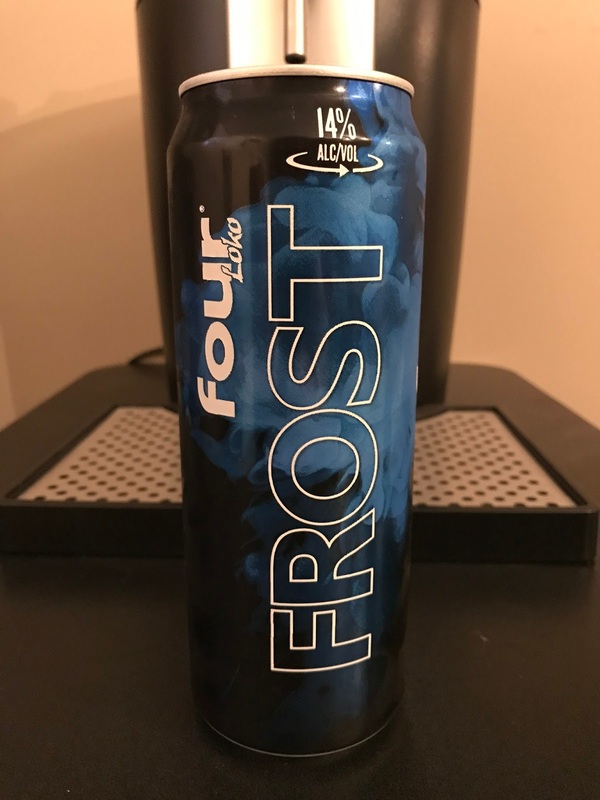 Will it taste just like the frost on the window of my car? The smell is exactly the same as every other flavor of Four Loko I have had in the past, but the first thing I noticed was the bright blue color when taking a sip from the can, so naturally I had to pour it into a cup to see exactly now blue it was. You could say the color is a very berry blue. 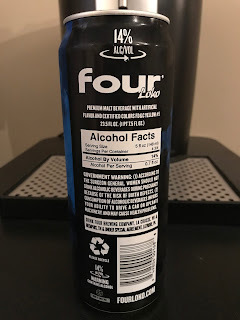 There is somewhat of a blue raspberry taste under all that sugar, but it's hard to get past the overpowering sugary taste you get with every sip. 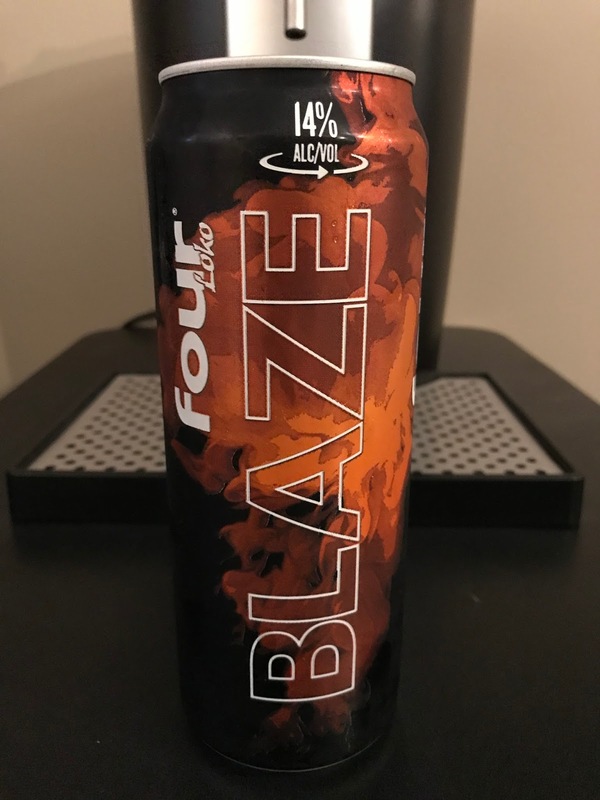 Next up we have Four Loko Blaze. Is it going to be spicy? Will it be too hot? 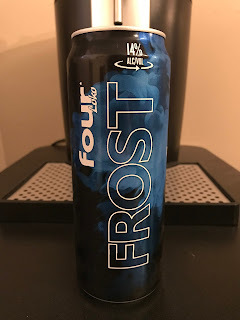 Well I can't quite pinpoint the flavor, but I do think it is more enjoyable than the Frost. 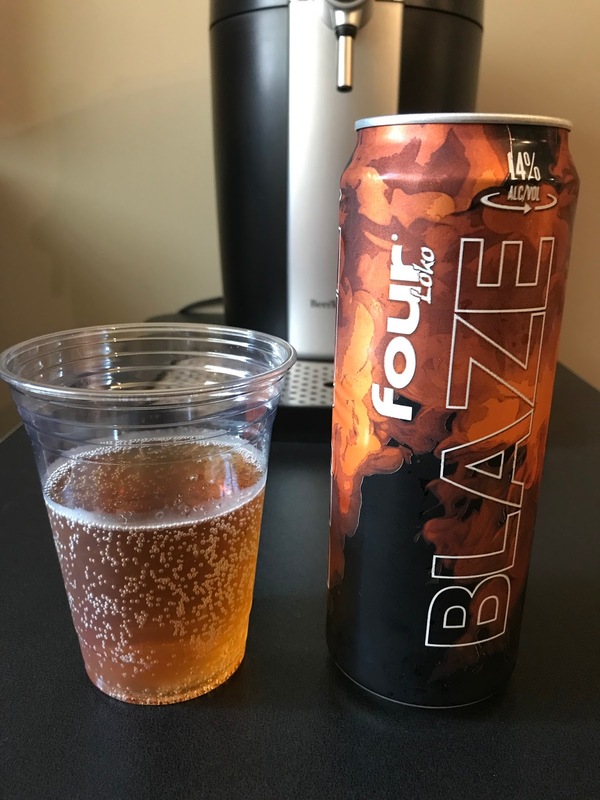 You get a nice red/gold color with this one, not as bright as the Frost, but the amount of sugary taste in this one is lacking, which is a good thing! 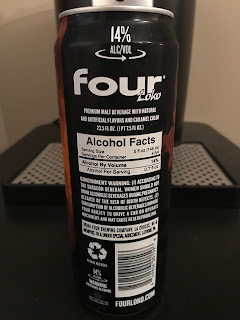 As usual if you feel like getting a sugar rush and getting wasted at the same time, a can of Four Loko is for you! Tune in LIVE this Monday at 10pm ET to Bumming with Bobcat on sfdradio.com and join us as we get you prepared for the Fourth Of July! Can't be there when we air live? You can always give it a listen in the archives! Cheers!